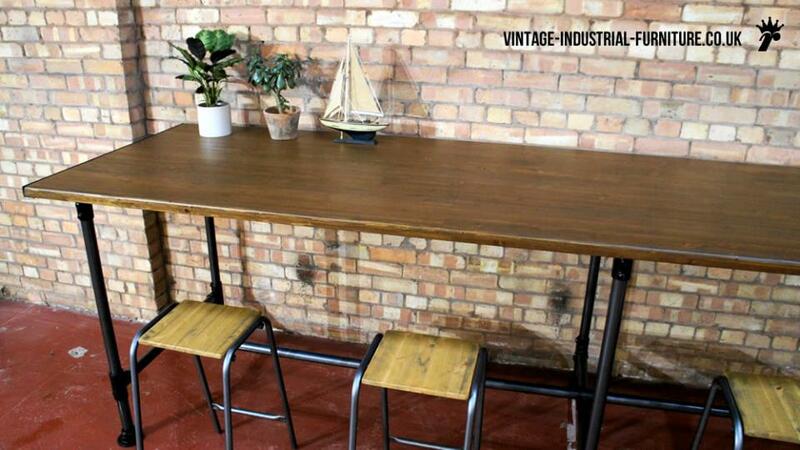 Made in our UK factory, this large vintage industrial table creates a relaxed, reclaimed-style aesthetic. 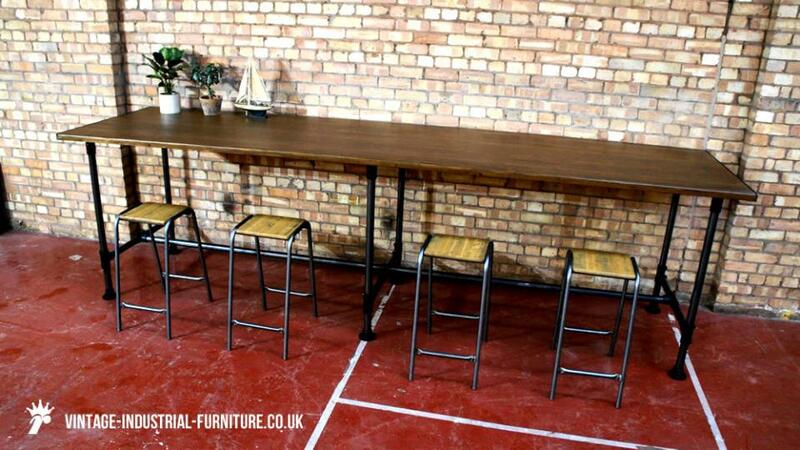 Whilst shown as a 4 seater it could quite easily fit 6 down each side plus a person at each end, in a sit-and-go environment such as an office canteen area. 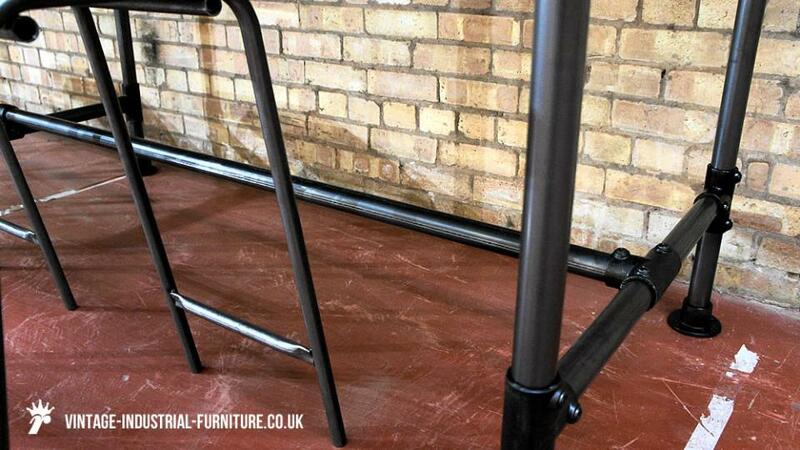 The modular frame makes installation simpler, saving time on site. 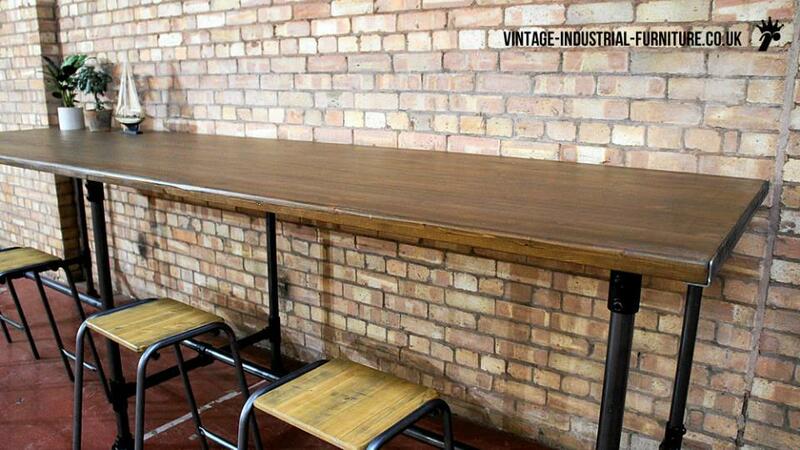 We can supply this large vintage industrial table in a range of colours and also in a variety of woods such as oak. 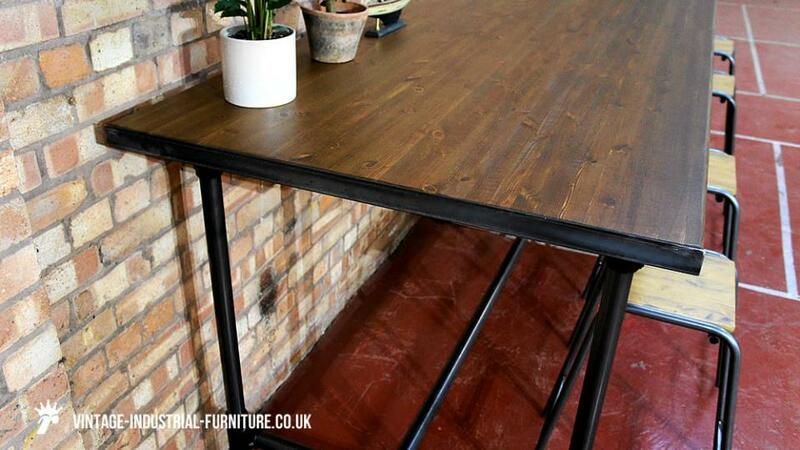 The hard-wearing surface has lots of character whilst still being smooth, facilitating easy cleaning. Several coats of matt/satin lacquer are applied during production giving a good protection layer for a busy working environment. 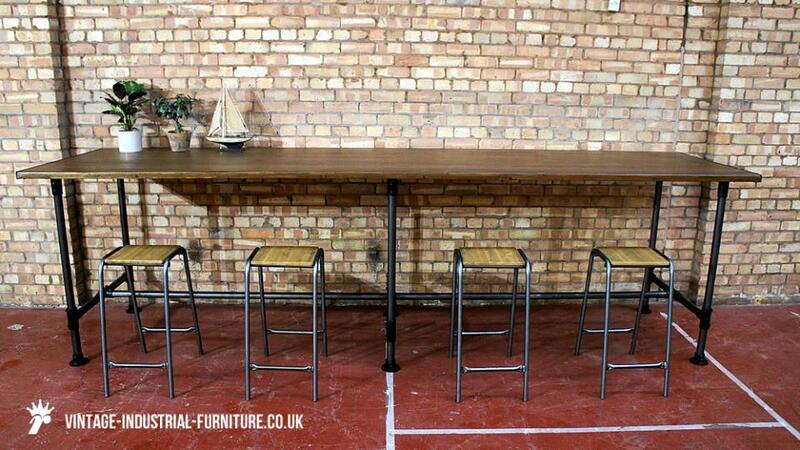 Pictured with this piece are our Vintage School Lab Stools.